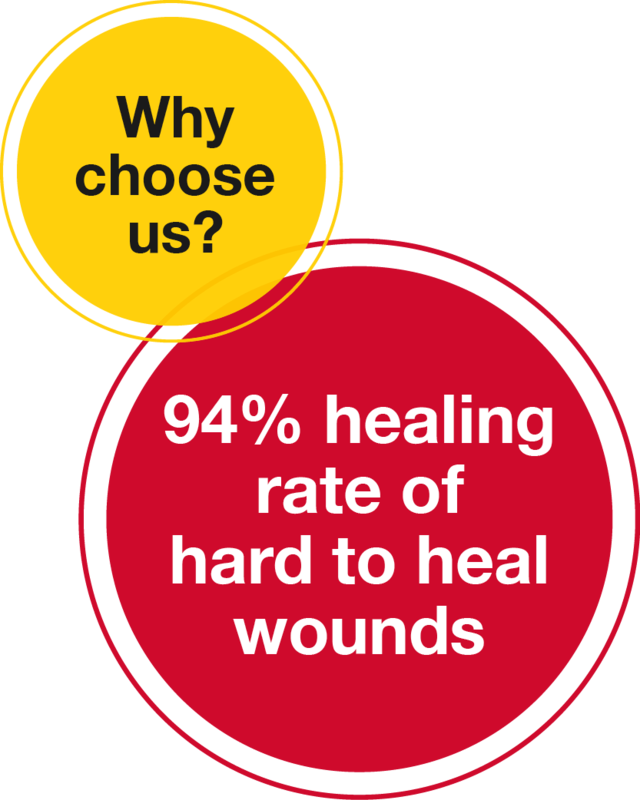 Greater is helping our patients heal faster and live longer with a wound healing rate far above the national average. Our innovative Wound Care Center is designated as a Center of Excellence. This means our team achieves 21 median days to heal and a 94% healing rate. When you have a wound that will not heal, the Wound Care and Hyperbaric Medicine Center at University of Maryland Capital Region Health provides expert care to promote healing and prevent prolonged or permanent disability. People with diabetes or circulation disorders, or someone who is bedridden for long periods of time, often suffer from non-healing wounds. A chronic, non-healing wound is one that does not begin to heal within two weeks or one that has not healed in six weeks. Our specially trained hyperbaric oxygen therapy doctors also provide hyperbaric treatments to patients. There is a growing need for wound care. Nearly 10 percent of Americans have diabetes and 15 percent of all diabetic patients develop chronic wounds. Comprehensive wound care can shorten hospital stays and reduce the need for amputations. Some wounds do not respond to regular medical wound care. If your doctor prescribes hyperbaric oxygen therapy, your body receives extra oxygen to help its wound healing system work more efficiently. Specially trained doctors and nurses monitor your hyperbaric treatments. When you visit the Wound Care and Hyperbaric Medicine Center at UM Capital, you are paired with a doctor who is experienced at caring for your specific wound condition. We complete a full assessment of your health, checking to see if any infections are present. A vascular surgeon may evaluate you to assess blood flow to your wound. A variety of doctors collaborate to create the best treatment plan for your wound. Once you begin treatments, we send regular reports about your progress to your primary care or referring doctor. The Wound Care and Hyperbaric Medicine Center at UM Capital is located on the campus of UM Laurel Medical Center, at 7400 Van Dusen Rd. Call 301-725-7255 for information or a tour.